Mists of Pandaria (MoP) is now Live! With that comes many new changes, including one that I absolutely love, and another that I’m starting to warm up to. The first is that each pet is capable of learning all three Pet Classes, Tenacity (Tanking) Ferocity (DPS) and Cunning (DPS/PvP)! What’s even better is that you can change this very easily by selecting the specialization you wish in your pet’s talent interface. Changing your pets’ specializations are free (as apposed to changing YOUR specialization which can only be done at your trainer and costs gold each time) and can be done anywhere, in the field. I can’t describe how happy I am to finally be able to use Arcturis as a grinding pet in Tenacity spec. Or to have my Ban’Thalos be a Cunning Pet in Battlefields. Thanks Bliz! The second change, of which I was skeptical at first but I am warming up to is the change in the way hunter pets are tamed. Gone are the days of camping the spawn point, waiting for NPC Scan to pop up and hoping some non-hunter isn’t going to kill this rare before you can get to him. 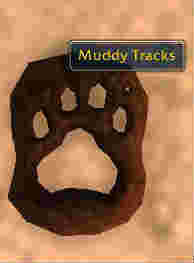 Instead, hunters will search for pets via tracks left by the pet – and only hunters can see them! Pets still drop tears of loyalty if killed, showing some love from Bliz on this issue. Each of the 9 rare pets in MoP are invisible. They’re not stealthed, they’re not phasing, they’re just plain invisible. 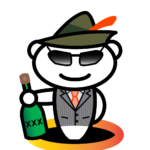 The only way to make your pet to be visible is by dropping a flair where you think your pet might be and hoping they become visible. So how do you guess where your pet will be? Its actually quite easy as I found out a few nights ago on Alexstrasza Server. You’ll simply follow the tracks that each pet drops while they’re patrolling their zone. All of the pets patrol their zone so no camping for us hunters, we have to actively search for our pets. WoW Insider has a list of all of the tracks for each of the rare pets here. So far I’ve only been able to tame Savage but I’ll be updating this site with guides to all of the tames as soon as I am able to.